Acres of beautiful, well-maintained grounds. Halls with intricate woodwork and fantastic arches. Rooms with gorgeous hardwood floors and expansive windows. Historic elegance meets modern day convenience to make an event a success from start to finish. With rooms varying in style and size from small boardrooms to large conference centers, Laurel Hall has a space for every type of event. Our terrace and grounds offer the perfect backdrop for a quiet, private outdoor event. 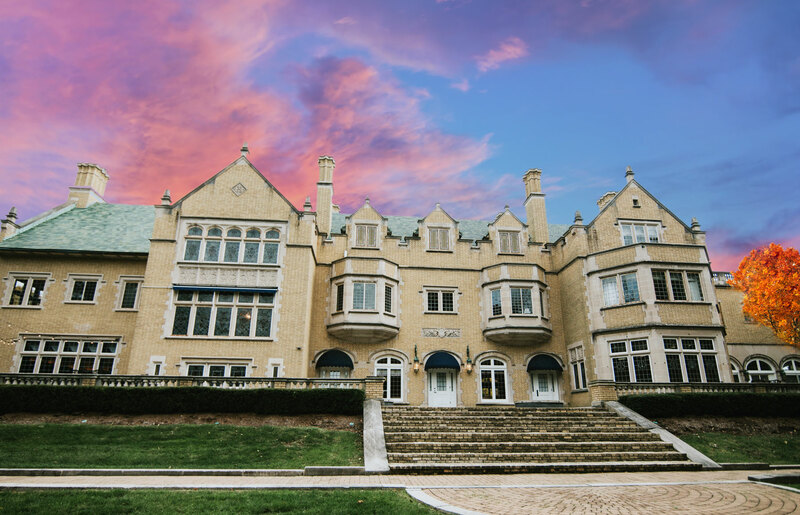 Rent Laurel Hall as late as midnight, utilize the venue across multiple days or add additional time for setup with ease. Take advantage of two gorgeous ready rooms for the event ahead. Both the Presidential Suite and the Executive Board Room offer a quiet comfort before a big day. With over 100 years of history, our spaces are the perfect setting for a distinguished, memorable event. Take advantage of our large dining rooms which can comfortably serve your large event or adapt to your more intimate affair. Groups have private access to the event spaces. We offer extended and multi-day access for weddings to allow for ample setup time. Your guests will receive a private gate code to access the venue, where they can park for free. Rentals include access to a professional security guard for an extra element of peace of mind during your event.